Imprivata Confirm ID for EPCS increases productivity and is the most comprehensive platform for provider identity proofing, supervised enrollment of credentials, two-factor authentication, and auditing and reporting to help healthcare organizations meet the DEA requirements for EPCS. Imprivata Confirm ID for EPCS also integrates with leading EHRs and e-prescribing applications, and supports the most complete set of innovative, convenient, and DEA-compliant two-factor authentication methods — including Hands Free Authentication and push token notification — to give providers a fast and efficient EPCS workflow. Electronic prescribing of controlled substances, or EPCS, allows care providers to prescribe controlled substances electronically – a process that has been historically paper-based. EPCS limits the occurrence of forged or stolen prescriptions and “doctor shopping” by authenticating prescribers and increasing security. Imprivata Confirm ID for EPCS is part of a comprehensive identity and two-factor authentication platform for fast, secure authentication workflows across the healthcare enterprise. Imprivata Confirm ID makes security invisible by offering a broad range of innovative, convenient, and DEA-compliant authentication methods, including Hands Free Authentication, push token notification, and fingerprint biometrics. Imprivata Confirm ID combines security and convenience by enabling fast, secure authentication across enterprise workflows while creating a secure, auditable chain of trust wherever, whenever, and however users interact with patient records, patient identifiers and other sensitive data. To enable EPCS, the DEA requires confirmation of the identity of all providers authorized to prescribe controlled substances. Imprivata Confirm ID streamlines the identity-proofing process offering both an institutional and individual identity proofing solution. Imprivata Confirm ID also supports the necessary access control measures required for DEA-compliant identity-proofing, ensuring that only individuals legally authorized to sign controlled substance prescriptions are allowed to do so. Imprivata Confirm ID allows organizations to enroll providers once they have been sufficiently identity-proofed. This includes enrolling their credentials to align with the two-factor authentication modalities they are permitted to use for EPCS. Imprivata Confirm ID for EPCS supports the most comprehensive range of innovative, convenient, and DEA-compliant two-factor authentication modalities, including Hands Free Authentication, which automatically provides fast, convenient, and secure multi-factor authentication, FIPS-201 approved finger print biometrics, and push token notification. 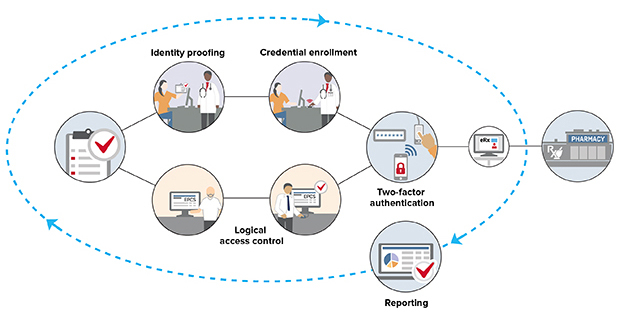 With Imprivata Confirm ID, organizations have the flexibility to select the two-factor authentication option that best fits provider workflow requirements based on how, when and where electronic prescribing will take place. At the time of prescribing the prescriber is only prompted for what is available and allowed. A must have for provider adoption and satisfaction. Hands Free Authentication is the fast, convenient, and secure solution for EPCS that automatically completes the second factor of a two-factor authentication by remotely retrieving the second factor from the prescriber’s locked mobile phone. 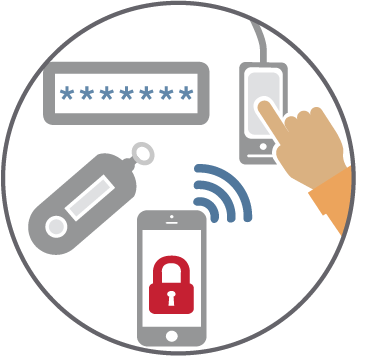 Hands Free Authentication transforms authentication workflows when used with fingerprint biometrics, as there is no need to enter a password, or type an OTP from a token. Instead the prescriber can simply scan their finger and keep their mobile phone in their pocket. This workflow provides unparalleled convenience while also reducing the risks of potential infection from handling multiple devices. Additionally, when fingerprint biometrics are not available (for example, when the prescriber is using a tablet or laptop) the prescriber can simply enter their password and use Hands Free Authentication. 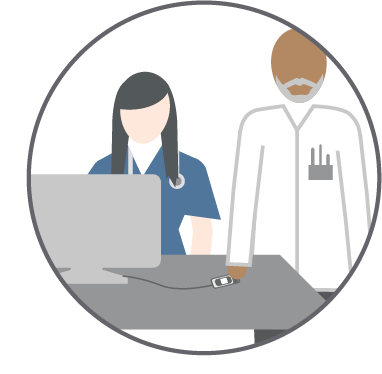 The speed and convenience of Hands Free Authentication minimizes the disruption of clinical workflows, increases provider satisfaction, and further drives EPCS adoption - all while providing IT with greater flexibility. Imprivata Confirm ID offers detailed reporting capabilities to establish a secure, auditable chain of trust for the entire EPCS process. Imprivata Confirm ID helps organizations demonstrate and prove compliance with DEA and state-level EPCS requirements. Imprivata Confirm ID offers productized API-level integration with leading EMR and e-prescribing applications. 80% of all hospital-based prescribers are in this ecosystem, making it easy and convenient for providers to prescribe controlled substances as part of their existing e-prescribing workflows. 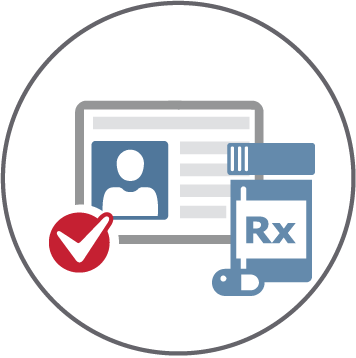 Imprivata Confirm ID™ is the fast, secure signing solution for e-prescribing of controlled substances. Imprivata Confirm ID enables a major shift to electronic prescribing of controlled substances (EPCS) by delivering the first comprehensive product that simplifies adoption of regulatory requirements for EPCS while helping providers address inefficiencies and potential fraud caused by paper based prescriptions. 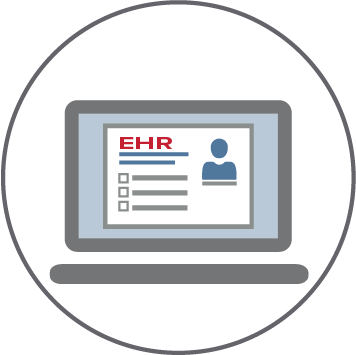 Inconvenience is the biggest barrier to electronic prescribing of controlled substances (EPCS) adoption: physicians tend to find the two-factor authentication requirements for EPCS interruptive and cumbersome. Imprivata Confirm ID solves the convenience and adoption challenges that result from the DEA’s EPCS requirements. 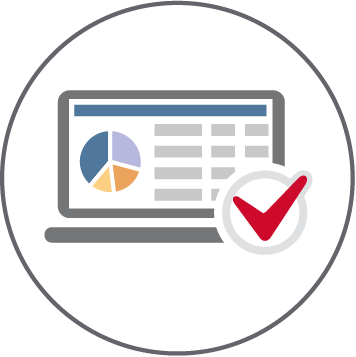 It offers the broadest range of DEA compliant options to make two-factor authentication fast, convenient and secure.